A successful auto body shop ensures that their customers have a quality experience. The moment customers walk into your shop, you’ll want to make a positive first impression to start building a relationship and hopefully encourage repeat and referral business. 1. Provide unique and personalized service. Give the customer a personable and welcoming greeting when they enter an auto body shop. Be enthusiastic, stand up, and shake the customer’s hand. Give a positive greeting like “Hi! How are you? How can we help you today?” and remember to smile. This entry was posted in Body Repair, Estimating, Events and tagged auto body, auto refinishing, auto repair, automotive, automotive refinishing, body shops, cleaning, collision repair, Estimating, P&L Consultant, paint booths, spray booths, till paint. We all have maps, GPS or navigation apps that come with our smartphones. Take advantage of your smartphone by downloading more advanced driving apps that can help you become a safer driver, block texting while driving, monitor your teen’s driving habits, boost your gas mileage, prepare for a road trip, or help you maintain your car. This entry was posted in Events and tagged auto body, auto refinishing, auto repair, automotive, automotive refinishing, body shops, cleaning, collision repair, Estimating, P&L Consultant, paint booths, spray booths, till paint. Tips For Winter Driving, Are You Prepared? Becoming ready for winter is important for all motorists, especially the people who depend on driving to make a living. Whether you just making short journeys or are covering long distances, it’s worth ensuring you’re completely prepared for any issues that can, or will frequently appear in winter weather. 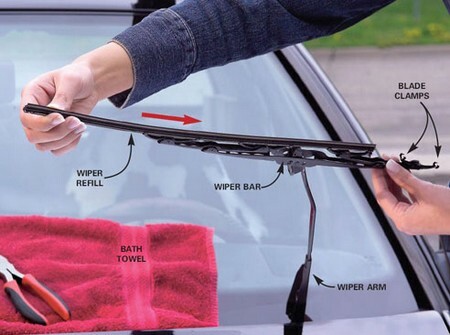 Since the season is fast approaching, you should put some things something in place to relieve you of the possible suffering of winter driving. Winter weather really has the capacity to transform very fast. These are the list of things you can do to keep you going during the winter season. Severe weather can be both frightening and dangerous for automobile travel. Motorists should know the safe winter driving rules for dealing with winter road emergencies. Winter driving presents a number of challenges to both you and your vehicle. Your vehicle’s mechanical abilities are tested by the cold weather, and dangerous winter driving conditions test your abilities as a driver. Here are our winter driving tips to get ready for the sleet and slippery covered roads and polar vortex like freezing temperatures.